My name is Dave Pommier. I live with my wife and boys on the north coast of New South Wales. We had been pushing around the idea of homeschooling for years. When we had to make a decision, we decided to go for it. For a bunch of reasons, it ended up being largely my role. For my whole life, whenever I pulled a surprise talent out of the bag, my standard line has been ‘I learned it at bloke school.’ Of course, with a dad showing his boys everything it takes to make it to adulthood, I realised now I run the bloke school. A dictionary definition might look like this. Bloke school, n. An idiomatic phrase from Australian vernacular meaning the (sometimes painful) education from life experiences, especially in traditionally male dominated areas. Often contrasted with formal education. Really, I don’t do as badly as that sounds. I’m still making it up as I go along, though. I like to take notes to try and make sense of it. I’d love to hear what you make of it. Let me know, please, if you get the chance. Thanks for dropping by. Hope you have a great day. 19 Responses to What is Bloke School anyway? It’s really cool to see a blog from a guy who is doing most of the home schooling stuff – looking forward to seeing how it all unfolds! Thanks J.C. I really seem to be in the minority here. I’ve got a good feeling about it, though. I haven’t enjoyed a job this much ever. As soon as I saw your school name in my comments, I was like “I gotta check this out. That name is too cool!” Glad to connect with you. Thanks Sheila. We have a bunch of fun here. Dave, when I saw you’d followed my site, I thought to myself, “I sure hope that word means ‘homeschool in Oz’.” And here I am, and it does! 🙂 Okay, it’s unofficial, but a great definition of what we sometimes call The School of Hard Knocks. And if you want to read a funny one, search ” $20,000,000 “. My readers liked it, and it does touch on home schooling. Just to add to everyone else – I am also stoked to find another father out there writing about this – and one from Australia. There are a whole lot of Moms, but not many dads doing this. As much as I enjoy many of the mom homeschooling blogs, it is nice to see another bloke’s point of view. Thanks David. I felt much the same way when I stumbled onto your blog. Hi Dave – I am wanting to do a series of interviews of homeschooling parents and would love to include you as one of the early ones – I think you have a really interesting and unique perspective. Couldn’t find any other way to contact you – if you are interested, would you mind contacting me via my blog. Thanks. Was scanning your blog and pictures. Looks like you are doing an amazing job so far! Keep up the good work, dad! Thanks very much. We are getting into a comfortable rhythm with it now. So happy to see a fellow homeschooling PARENT (mom, dad, who cares which gender?) who is relaxed and experimental and apparently fun-loving, as well. You will do a stellar job, I can see it in your words (as well as in that huge pile of Legos on your floor – we have easily as many Legos, and they are still in use, even though my kids are in their 20’s!) Rock on, dad! Thanks Valerie. It sometimes feels a little overly relaxed. Having said that, we get through a load of stuff, and the boys are learning heaps. We must just be having a good time instead. We really enjoy our Lego here. The bulk of it is my collection from when I was a kid. Pretty funny. Some really good stuff here – I’ve enjoyed browsing round! All the very best wishes and enjoy raising your kids your way! Thanks very much. I’m glad you like it. Hi there! Just wanted to let you know that this not some random blog follow. Although I also have a wordpress blog, mine has nothing to do with homeschooling. However, my husband and I do homeschool our nine year old son. I just happened upon your blog while reading Simple Homeschool. Loved your post! We often feel a it like outliers here. It seems that so many who blog about homeschooling have pristine homes, children in bed and asleep by 8:00…. Not us. I mean we’re not complete disaster either, but, well, sometimes life, learning, any variety of things really, take over and tight schedules just don’t always work around here. What really grabbed my attention was the fact that you save your dishes till morning (not that the academic portion was lost on me. That was great too! LOL) Right now I am looking at a sink piled high with last night’s dinner dishes. Anyway, we are looking forward to reading more of your posts! By the way, we loved that you actually built a sundial with your kids. We might borrow that idea! Thanks for your comments. Yes it is definitely a sort of controlled chaos here, and I cant pretend otherwise. We manage to get a lot done, despite it all. The dishes, though. They just never stop. 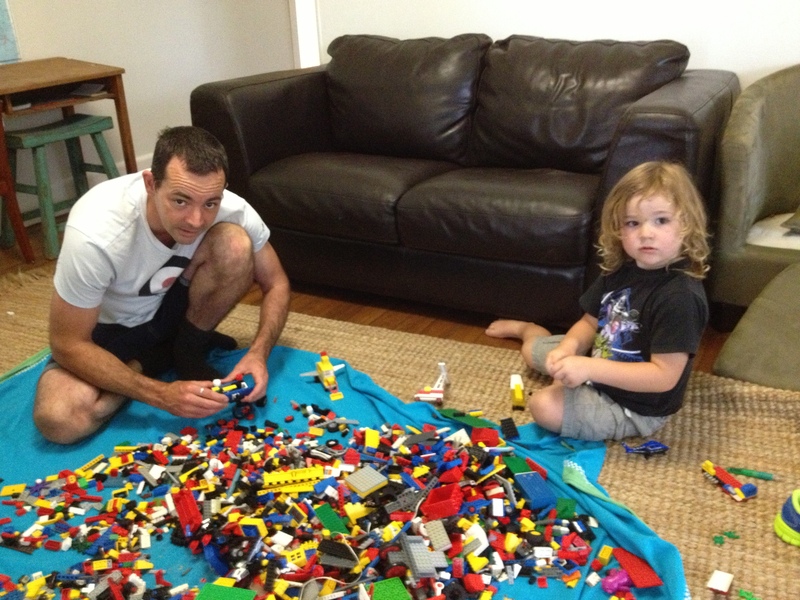 Awesome to read about another Dad taking the reigns as the home-educator. I do most of the leading as well, though this past year my wife has done a great deal more than in times past, but I am the one keeping the blog account of what happens. Our son has his own blog which he puts his writings, musings, cantankorous quibbles and more. I will definitely want to stay up with you and read about your progress and happenings. Always wanted to work and live in Australia – my wife has always wanted to live there. Never able to find a full time music job in a church out there–oh well. Also you can check out thefamilyman.com Todd Wilson–a bit more christian in nature, but a great Dad and Mom team, but written from a dad’s view–and he is very helpful and masculine in the approach. Which is totally cool…especially for encouragement. Keep up the good stuff. I totally want to adopt that phrase… “blokeschool” We need a community called “blokeschool” homeschool dads United! lol okay maybe not.